Does the Champs race count as one of the series races? No. As in recent years, the Championships will be a separate race to the series and subject to Scottish Cycling's eligibility rules for Scottish Championship races. Anyone know the details for Falkirk? Any reason for no Mugdock or Plean? Am surprised at Mugdock as this was one of the more popular events. 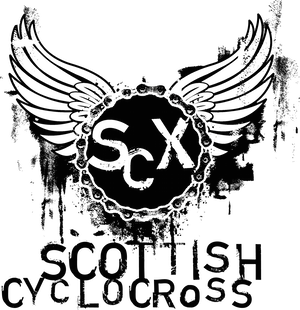 Neither Glasgow Mountain Bike Club nor Stirling Bike Club were able to host rounds of the series this year. In addition, both Mugdock and Plean have started to struggle with the increase in numbers that we've seen over recent seasons. Both clubs have been staunch supporters of cyclocross through the years, putting on events back in the dark days of the early 2000s when we'd might get 30-40 people across all categories at. Am sure everyone would like to join SCX in thanking both clubs and teams of volunteers for their support. Thanks for input Marty and yes were both great courses and events last year so cheers to organising clubs.....lets hope they come back one day. Hi, just watched course preview for sxc at Falkirk. Are race organizers now enforced to keep courses to a minimum width of track. Obviously this is a new area to me and having not been there before I don't know If there is any single track, but it is notably absent. This is a query and not a criticism, as very much looking forward to racing this course. Thanks to organizers for making effort with the video. We have dispensation for pre-existing courses, but all new courses need to meet the modern criteria. Thanks for getting back to me, if dry could make for fast race and if wet a good test of endurance especially for final race of day. Good to hear some common sense was applied to previous courses as that would have been a great shame to lose some fantastic venues and interesting terrain. There must be a few old courses from the early days which could be ressurected under this policy. Good to see online entry this year too. Old venues / new course rules - what ones were you thinking of? remembered about 8 years ago racing at glenrothes, a park in glasgow, and one particularilry memorable event up near callander possibly at is it Trossach's Tryst or some other mtb bunkhouse type place. To be honest memories are a bit faint so sorry if i'm way off the mark. ( hope it was even SCX) I just remmeber the power washer at the side of the track blasting every rider each lap as course was mucky. Some good technical riding there from what I can recall. Whole family will be racing on 7th taking in u10's womens and senior mens, and theres the air of excitement within the household of a new season about to begin! It would be really great to see more of the supporting ladies and mums of the kids racing this year. My wife is a converted supporter to racing mum, having raced for several years on a mtb and is debuting her new crosser this year. I know that she was a bit intimidated by it all to begin with but after a few races was hooked. So why not a big call out to the ladies on race days to encourage a few more entires, especially off the back of the success of the womens Olympic and Para teams etc. What about one event being a ladies day, just like at the races where the girls get to race for free or insurance costs only etc to encourage more into the sport! Newbie (MTB racer) question but answer is not clear on the site. Do I need a BC Racing License to enter the events? I know I need one for Nationals but what about SCX Series? You don't need a Racing licence for the Scx series events, just the Nationals as you say. What time do we need to be at callendar park to register/ pick up numbers for the youth race? Thanks. Probably want to be there around an hour before the start time to collect numbers and have a look round the course.